Daunting and pricey as it may sound, building your own home gym isn’t nearly as expensive as you may think it is. Most people end up wasting money on expensive cardio equipment that catches dust rather than cinching your waistline. Don’t be that person. 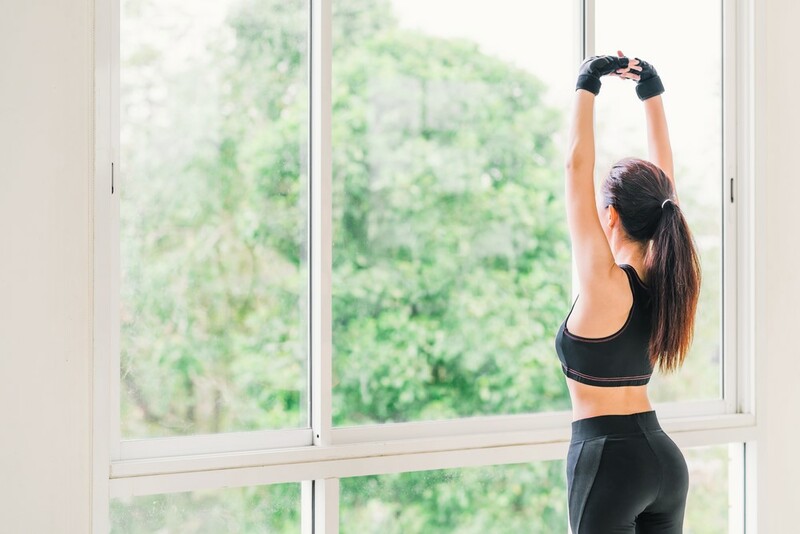 Creating a gym at home can actually be affordable if you budget correctly and purchase accordingly. Depending on the scale of your gym, you could have a perfectly well-equipped setup with a $500 budget or a $1,500 budget. Calculate how much you’re able to spend without interfering with your regular livelihood—those rent and car payment bills need funding too! What is it you’re aiming to accomplish? When you go to the gym, what areas of your body are you targeting? Do you want to lose weight? Do you want to build muscle? The beauty of the gym is that the options are limitless, and when you’re the master behind the creation of your own personal gym, you can tailor your setup for your specific needs. An aspiring yogi will have a completely different home gym set up than a bulking bodybuilder, so be sure to keep your unique goals and needs in mind when making your home gym to-buy list. So whether you’re lacing up your women’s Brooks Ghost shoes or kicking off your men’s Nike Metcon cross-trainers, your equipment and apparel should be tailored to your fitness program. Some gym equipment is just down-right expensive, no cheap alternatives, nada. So when it comes to selecting your necessary machines and apparatuses, prepare to be faced with some big-ticket decisions. It’s up to you to decide whether to splurge or scrap. Cardio machines are a great example. On average, treadmills will cost anywhere between $500 and $2,000. 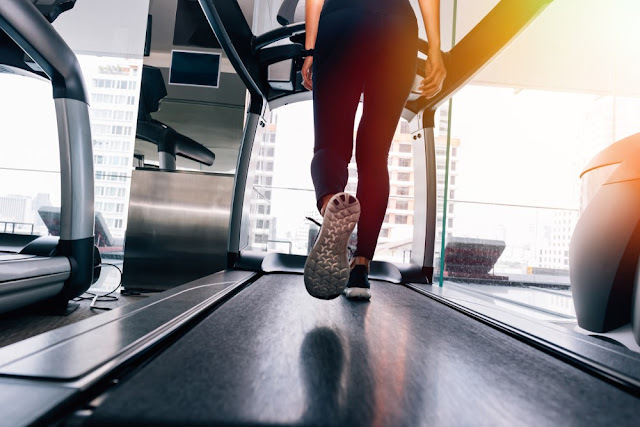 If you’re looking to slim down and build endurance, a treadmill should be a priority but you also have the option of going on outdoor runs! Balance out where you want to spend on your big-ticket equipment and compromise on the rest. Now comes the fun part. 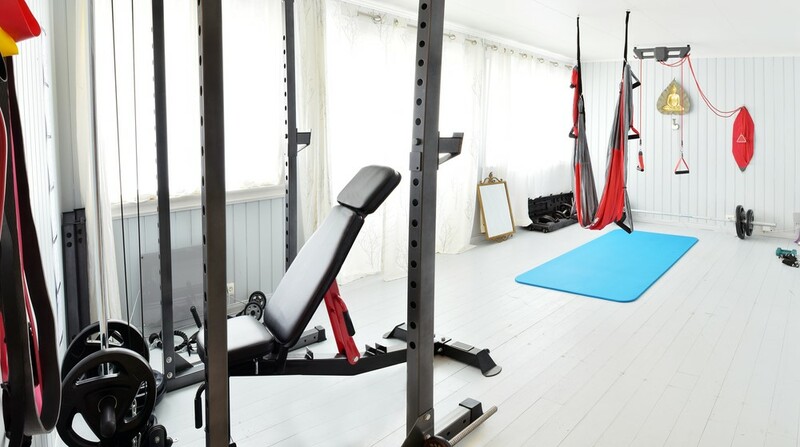 Furnishing your home gym with new, used, or homemade equipment is the key to your fitness success. But what equipment is best for you? ● Squat rack: A squat rack is the booty-builders best friend. From weighted squats to Romanian deadlifts, muscle-building exercises are made easy with a rack. When selecting the perfect rack for your home gym, you’ll need to ensure it can handle the weight you’re working with. The last thing you want is a collapsible rack when you’re in the middle of pull-up reps.
● Dumbbells: Free weight dumbbells allow you to add weight to bodyweight exercises that need some added challenge. If you decide to skip the squat rack but still want to gain some muscles, dumbbells are a great addition to your daily workout. ● Kettle bells: Depending on your grip and range of motion, kettle bells may be the better free weight option for you than dumbbells. If you plan on doing a mixture of kettle bells and dumbbells, I recommend buying lighter dumbbells and heavier weights with kettle bells. ● Bench: Strengthen your shoulders, back, and chest with a hefty set of barbells and plates. If you plan to furnish your home gym with a squat rack, you’ll only really need the actual bench to make bench-pressing work. ● Barbells and plates: As the bread and butter of weight-training, barbells and plates are essentials for a home gym setup. ● Punching bag: Maybe you’re into kickboxing or maybe you need an outlet for your pent up aggression; either way, a punching bag is an excellent home gym addition that lets you channel some high-intensity workouts. ● Spin bike: Stationary biking has become a popular cardio method that fitness lovers rave about. Taking the pressure of ground impact off your muscles and bones, a spin bikes lets you get the HIIT you want without any of the pain. Turn your home gym dreams into a reality this year! Put your fitness first and you’ll see results in no time!